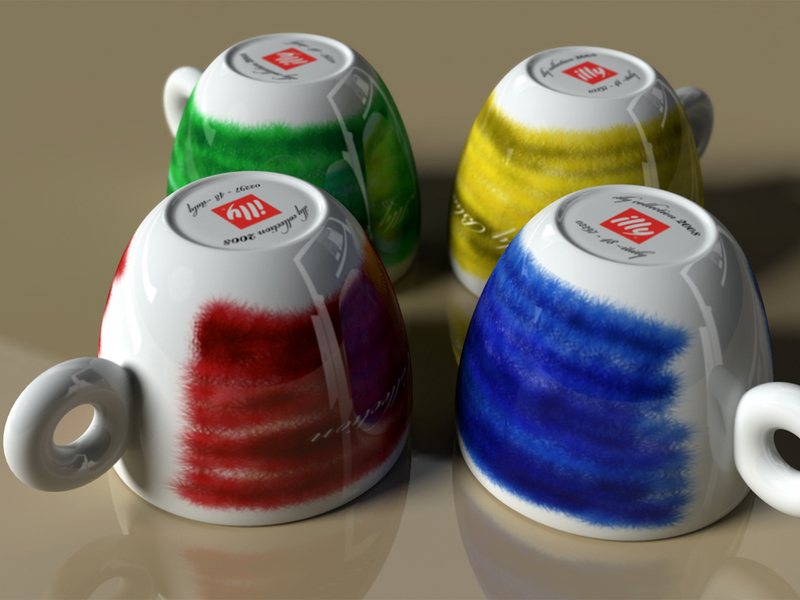 For this Design Friday post I wanted to talk about Illy coffee. Anyone who has traveled outside of the United States is probably familiar with the international coffee brand, and if you have been to a handful of major cities in the USA you might have come across one of their concept stores. 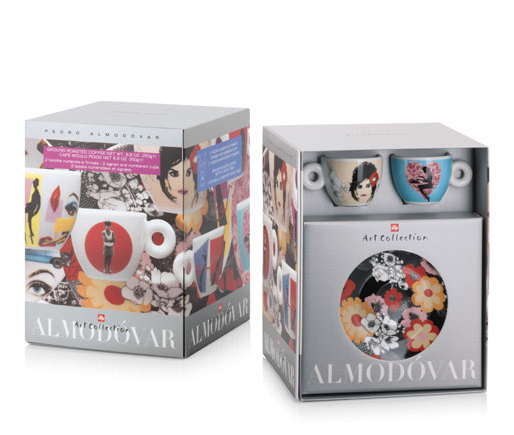 When I first started writing this I was going to focus on the packaging and the art cups that Illy produces, but as I have started gathering images and such the focus has changed to reflect the more global approach that Illy takes with its design and branding. 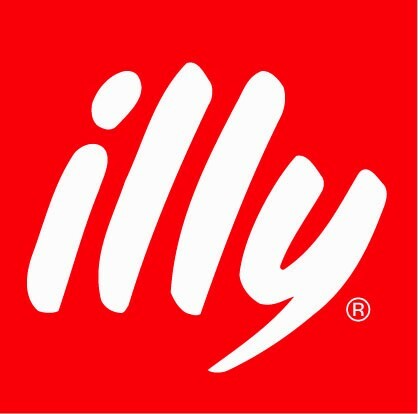 Illy is all about the visual presentation of product, store environment, packaging, interactive, and mobile are designed as a cohesive unit. 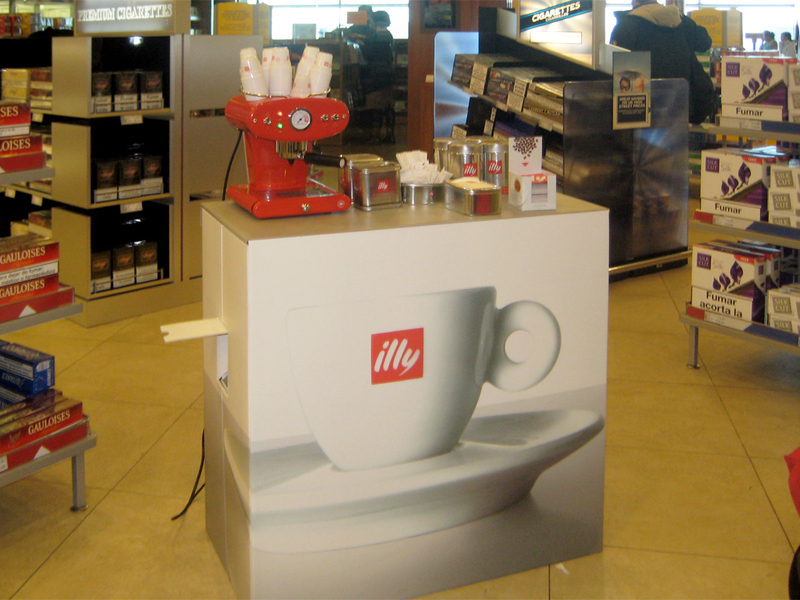 The design components of illy caffè show that it is a company with a far-reaching vision. It is this design vision that has placed Illy firmly at the head of pack, positioning themselves as a company in the pursuit of beauty and excellence. 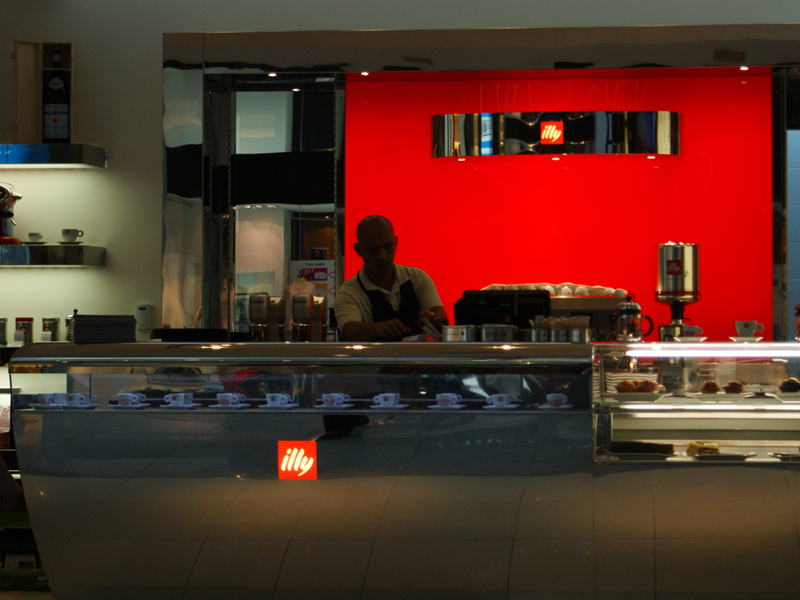 The Illy Bar Concepts works like this: the Core Bar is usually situated in a historic center, and functions as a meeting point that expresses the culture and the daily life of its location. Landscape Bars are set in busier areas, such as shopping malls or museums, and are meant to provide a restorative break. 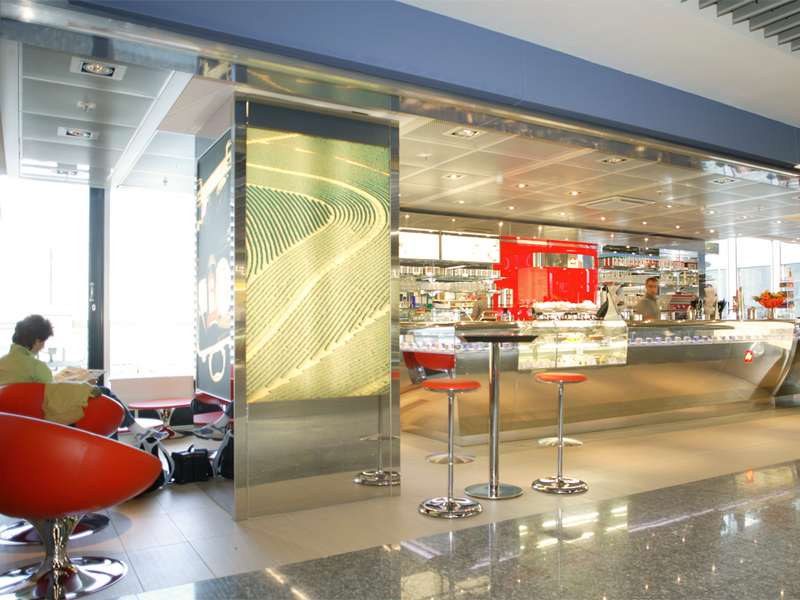 Transit Bars are spacious bars for travellers, located in train stations or airports; Community Bars serve regular customers in residential or semi-central areas; and Corner Bars are stylish, open-plan buildings offering fast service for quick consumption, or the get it to go crowd. The cafe’s are beautifully designed featuring clean open architecture with natural lighting. The fixtures in each are designed to elevate and display the coffee brand, usually accented by artwork that features an artist sponsored by the Illy Art projects. 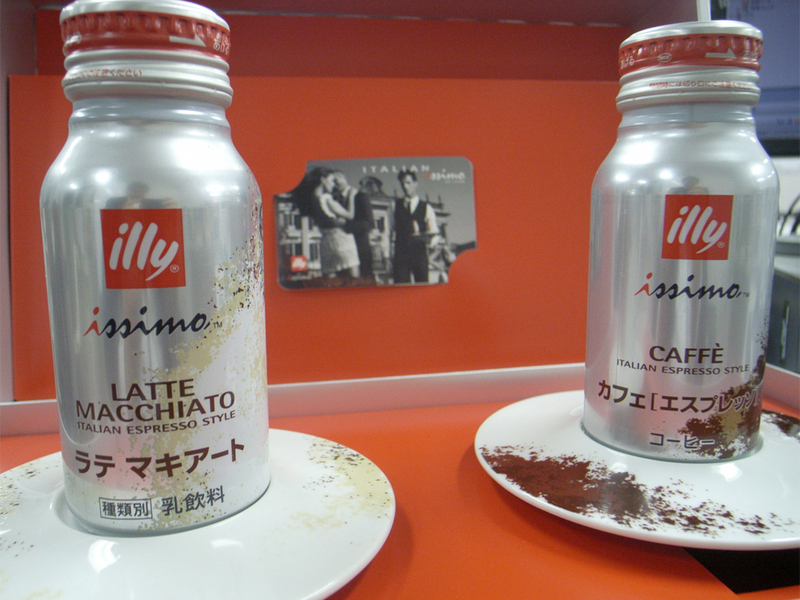 Packaging focuses on prominently displaying the Illy brand on simple tin cans with easy to follow instructions in 5 languages. 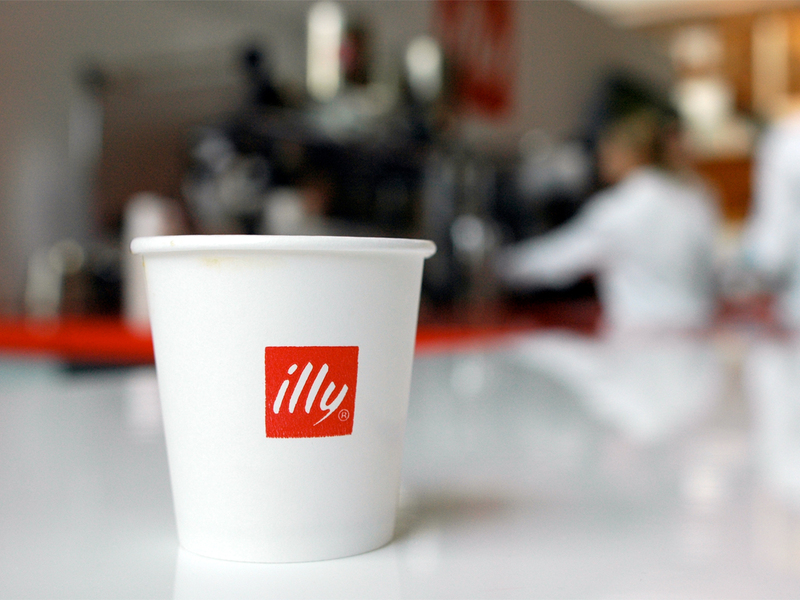 Coffee cups, and all other items in the store display the red Illy logo on a clean white background, helping to reinforce the brand at every turn. 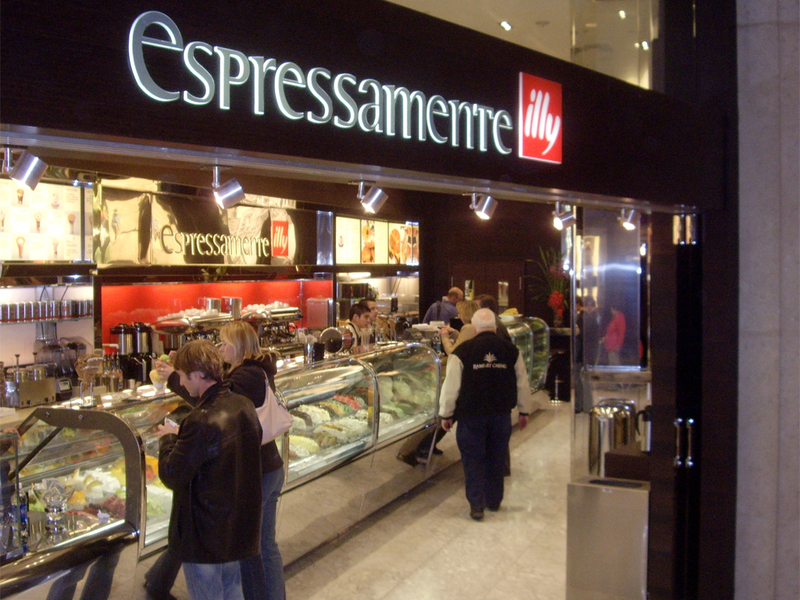 Illy also selects independent coffee shops with “relevance in their market” which are selected to use only Illy coffee beans and agree to do so for a three-year period. 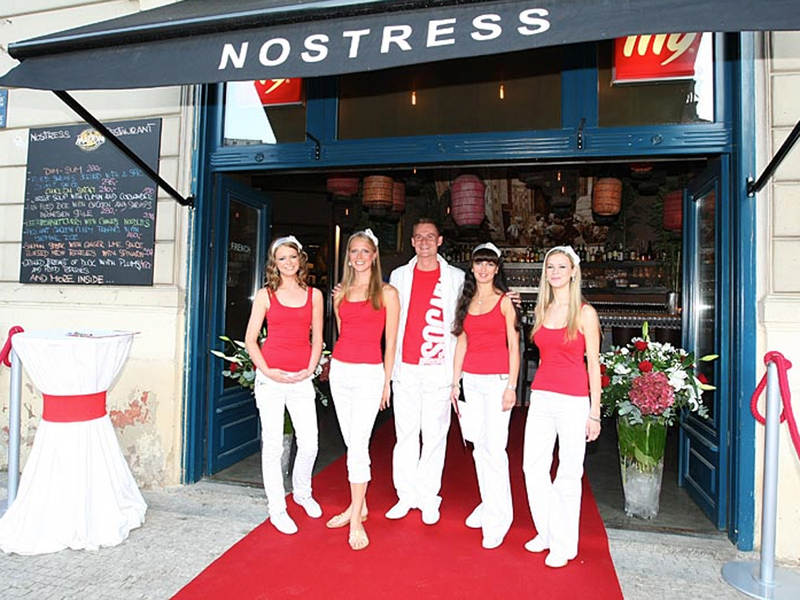 Baristas are trained to pull an Illy-quality espresso and given recipes for other drinks common to Artisti del Gusto shops. 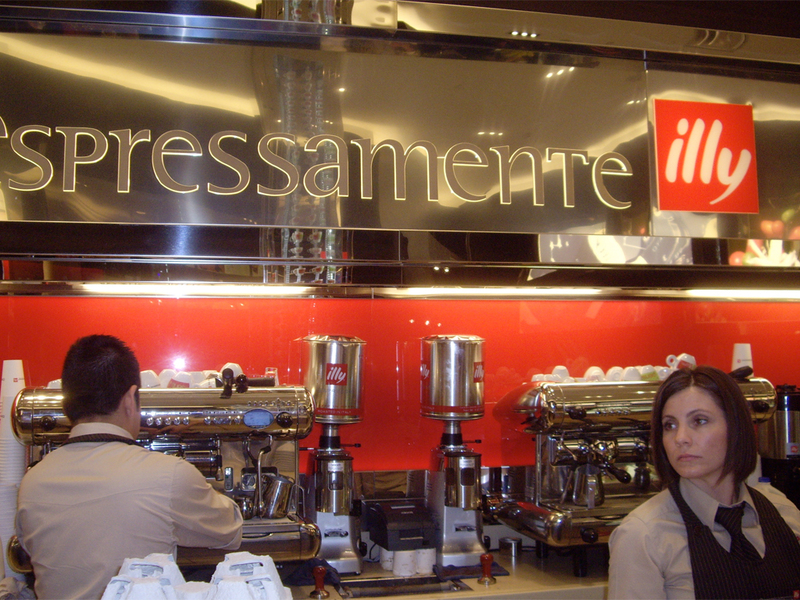 Illy provides art work, coffee machines, glassware and other branded touches, such as the red Illy umbrellas. Certified coffee shops are periodically monitored for consistency, and the certification can be pulled if the lattes aren’t up to snuff. Not only is this is a proven way to expand with minimal investment, it’s also a way to increase the reach of a brand, and indoctrinates a much wider audience to the superiority of your coffee beans. In other words, it’s a great way to market your product in grocery stores and online outlets, without a national advertising campaign. A coffee shop on your corner is far better than a billboard, since it’s a place you already trust and whose coffee you are conditioned to love by association. 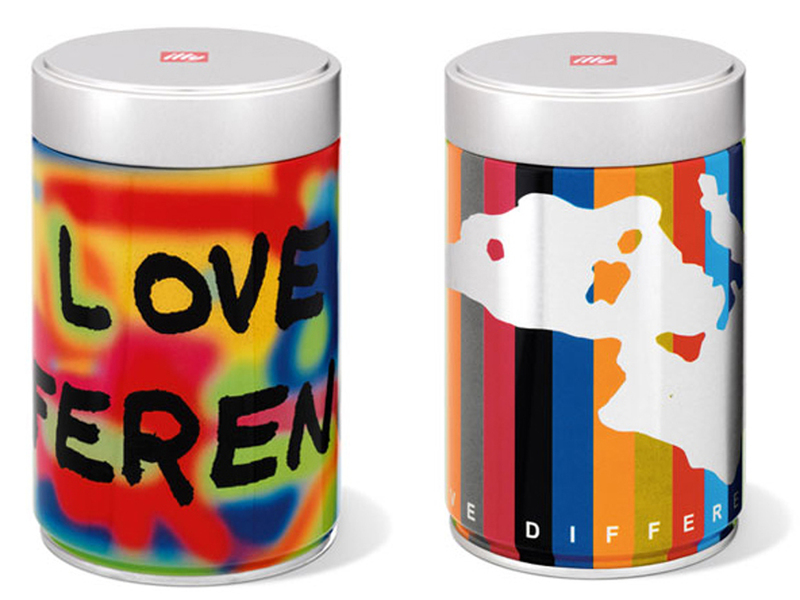 In addition to the store concepts Illy has developed a series of collectable limited edition cups and coffee tins all of which are designed by world-famous artist. 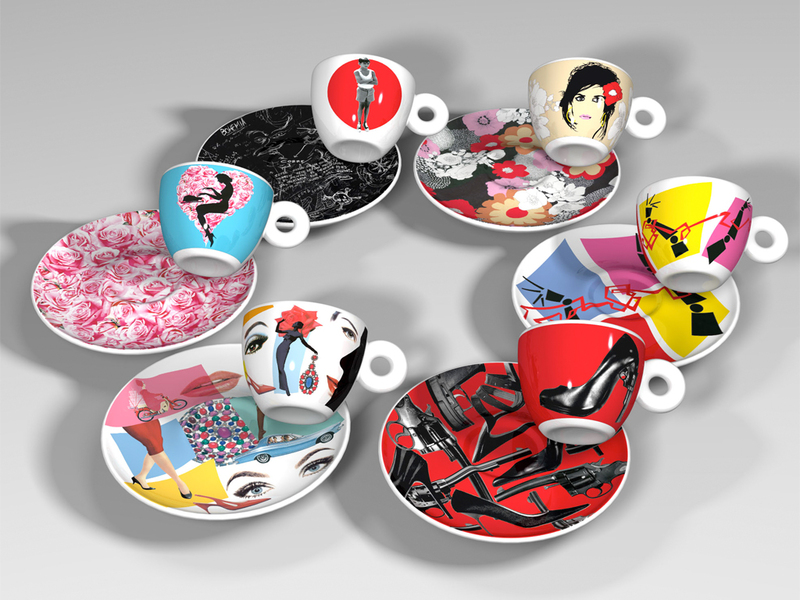 In 1992, the first collection of designer cups entitled “Arts and Crafts”, which combined coffee with the aesthetics of the cup was introduced. 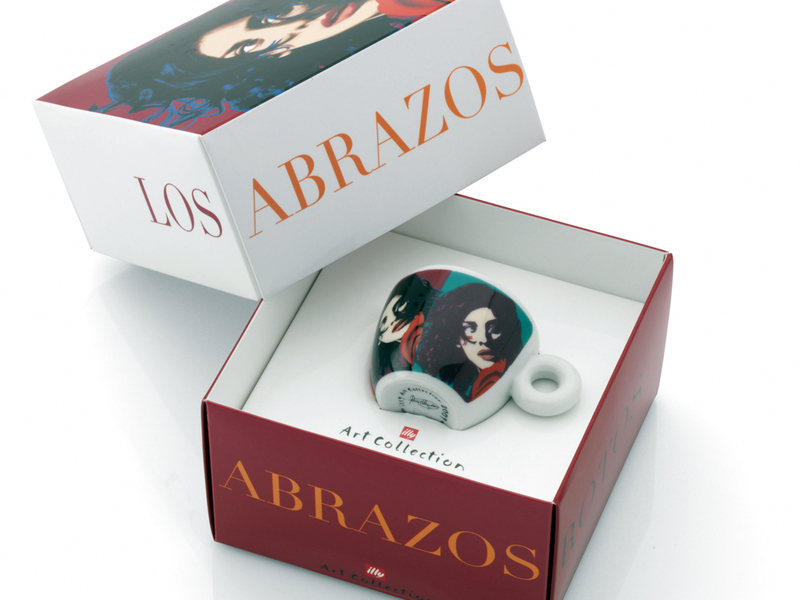 Since then, illy has established a strong bond with the art world, constantly adding to the collection. 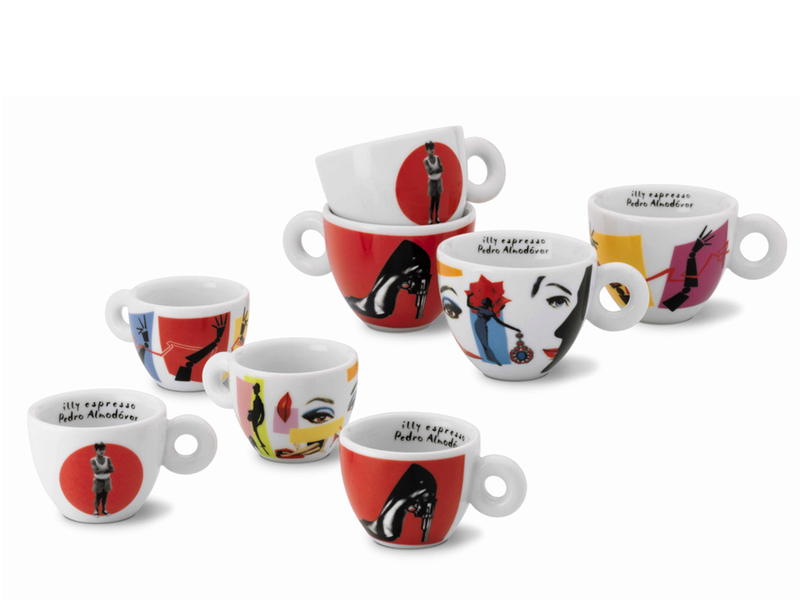 And now, when you are in an Illy café you can drink coffee in an artist designed cup and read the story behind each concept. 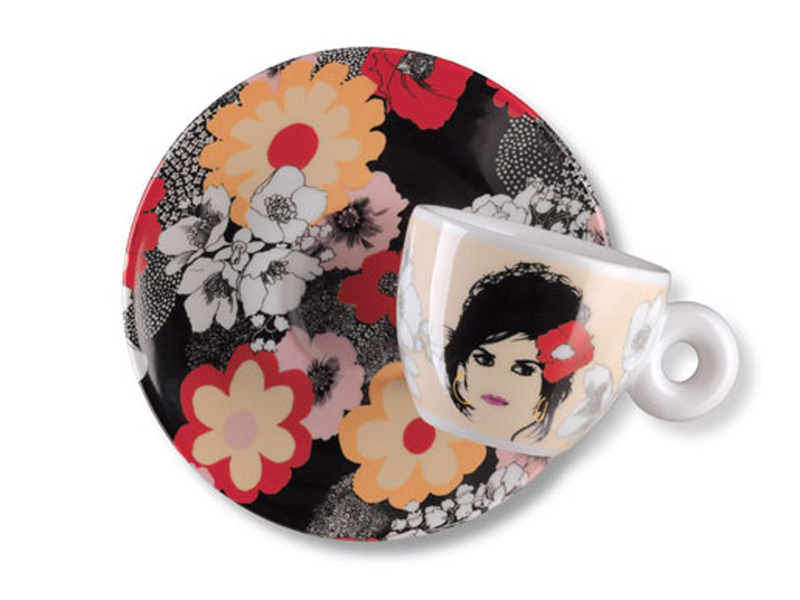 In addition you can purchase limited edition cups or tins at any of the cafe’s themselves. 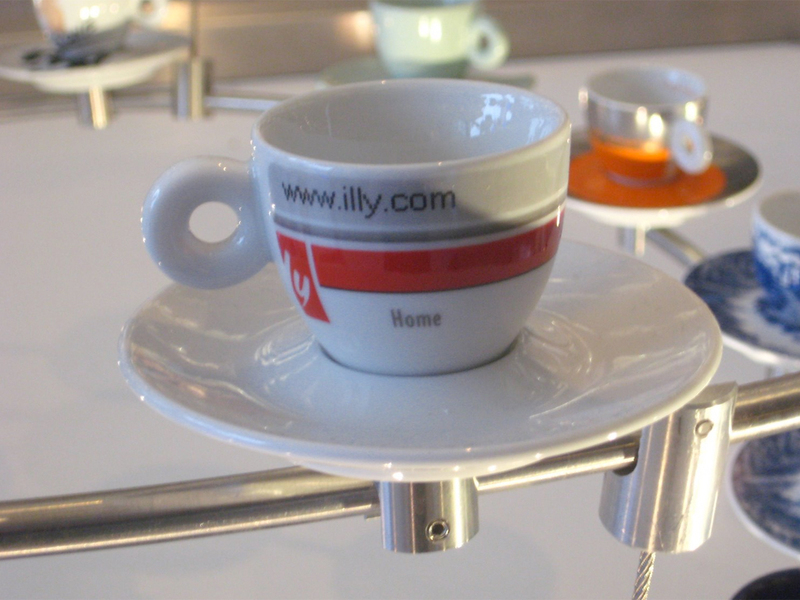 As a forward thinking, and design focused company, Illy has been quick to innovate and embrace new technologies and outlets that allow them to expand their brand awareness, without expanding their physical footprint with additional stores. They have done this through the Illy At Home program. Via the website you can sign up to have the coffee delivered via FedEx directly to your home over the course of a year. Each month a set amount of coffee is delivered directly to you, and 3 times a year you receive limited edition collectable coffee tins, and or espresso cups. In addition you have the option of purchasing over time a Francis Francis espresso machine through the program. The concept is really well thought out. Illy promotes the brand, through delivery of a quality product, and then hooks you with special gifts all designed to reinforce the brand. Illy does an excellent job through out every aspect of its visual presence of making sure that the red and white color pallet is displayed in a consistent manner and that the Illy logo is placed in locations that leave a memorable impression which can quickly be associated with what the company stands for. 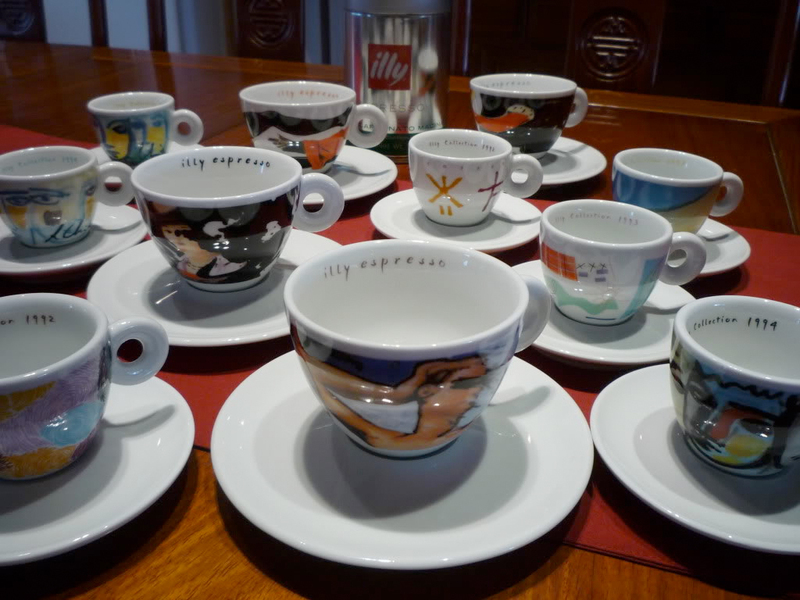 Posted in Design and Art and tagged Art, Branding, Coffee, cups, demitasse, Design, Espresso, Illy, IllyCafe, Interior Design, Packaging on December 11, 2009 by Author.